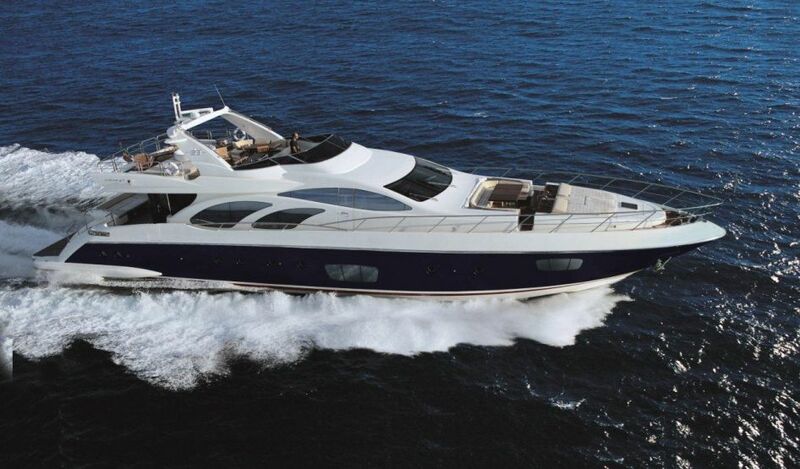 Azimut 98 Leonardo EVO is perfectly equipped Mediterranean charter yacht. 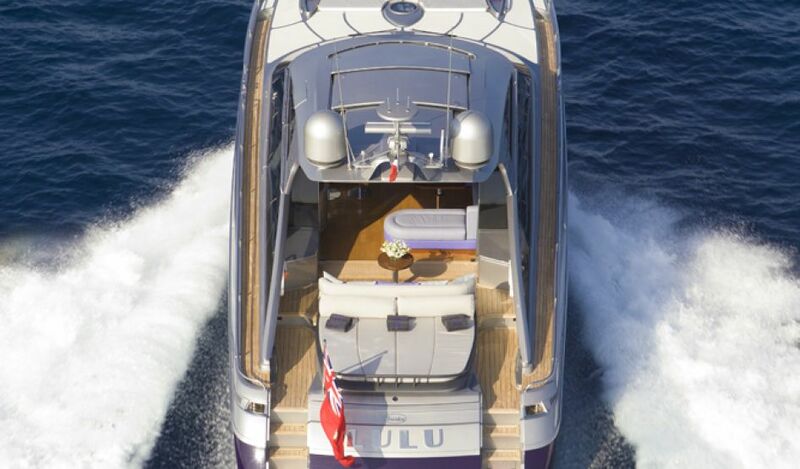 She is built by Italian Azimut Benetti Group and delivered in 2007, however she was refitted in 2012. 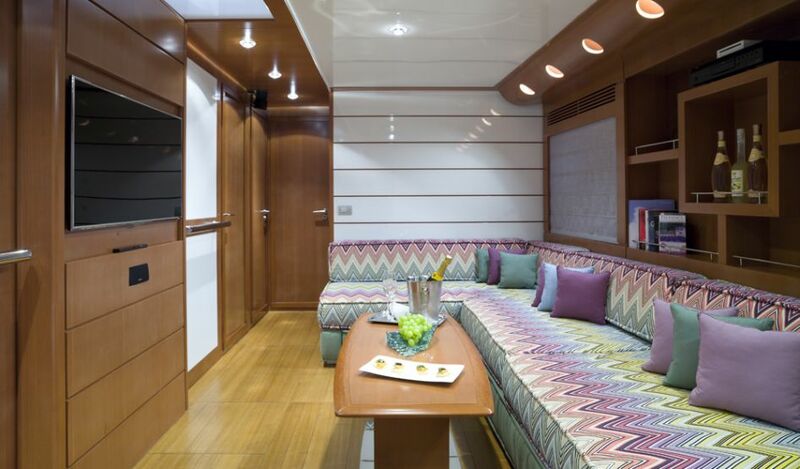 Her modern and bright interior design will make you feel at ease from the moment you step aboard. 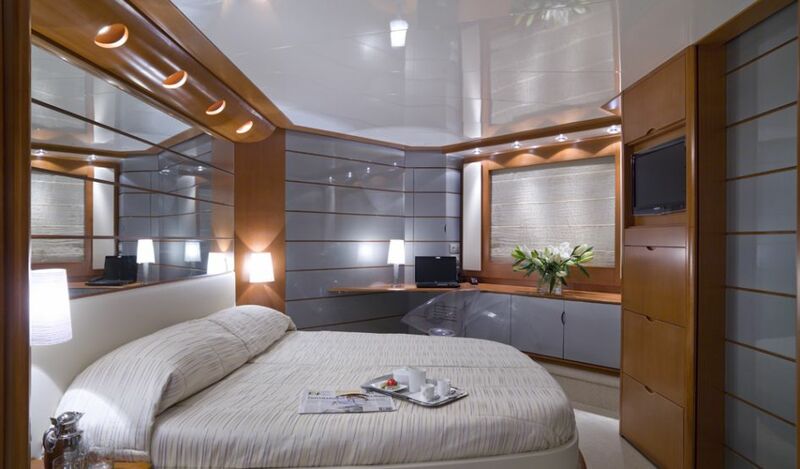 Equipped with flat screens in all cabins, with a fly bridge complete with a Jacuzzi, a bar and a sitting area, yacht will endow you with all the modern features a vessel can offer. 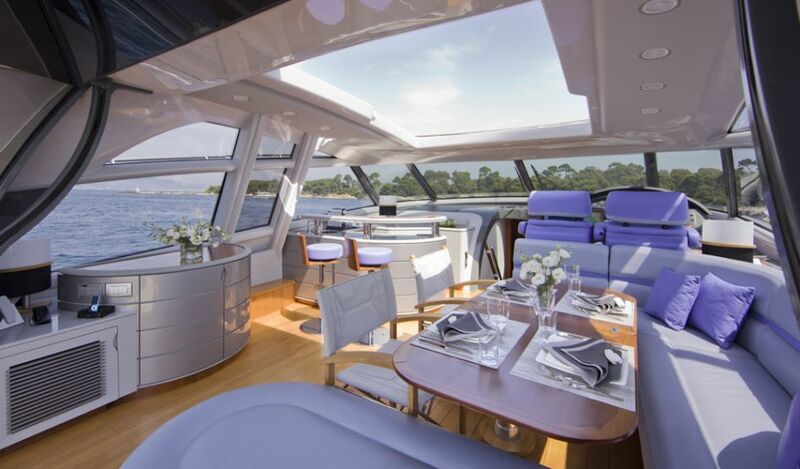 The the saloon is so wide open, the retractable flat-screen television in the entertainment center is visible from just about anywhere on this level, from the four-person port-side couch to the eight-person couch to starboard. You can even watch it from the dining table, although who would want to when you have a 180-degree panorama with the sliding door open or closed? 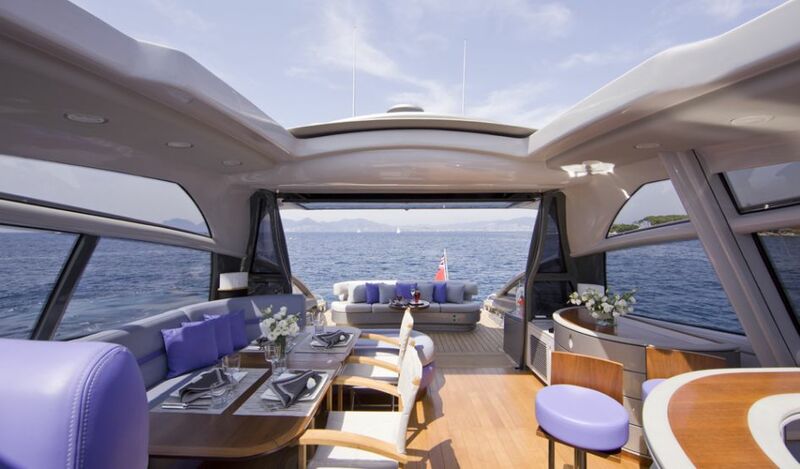 Enhancing the blending of inside and out, the bar is aft and to port in the saloon, where it can serve guests in both spaces. Even the teak cockpit sole contributes to this blurring of boundaries, intruding well into the saloon, and meeting the ivory Berber carpet part of the way forward. 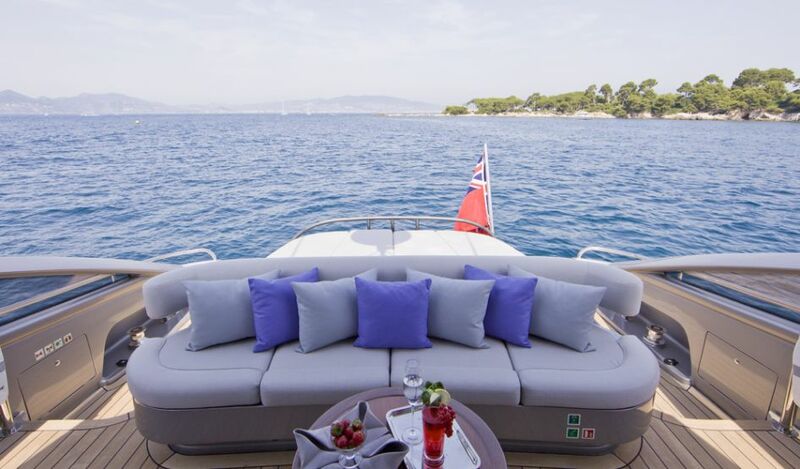 Coarse-fabric shades give the saloon the feeling of an outdoor patio, especially when there’s a gentle breeze from the two-panel sunroof over the helm. 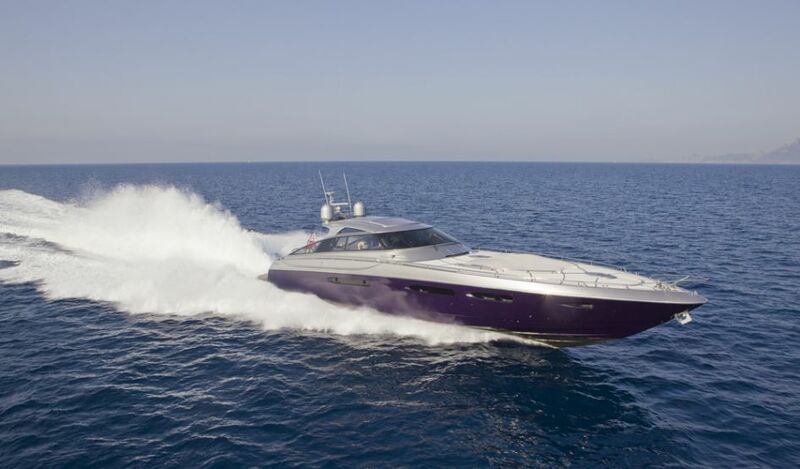 Azimut Leonardo can accommodate eight guests in four en-suite cabins. All cabins are located at lower deck. 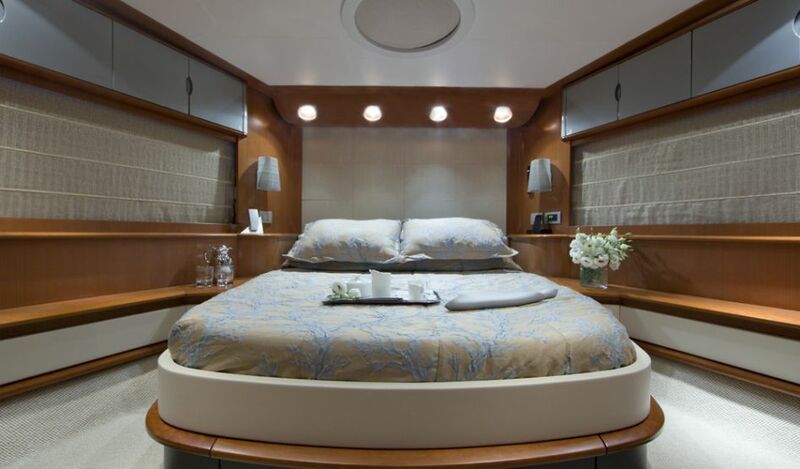 The helm, forward of the entertainment center, is open to the saloon on either side, but it can be closed off by port and starboard doors, insulating guests from crew and giving the helmsman the privacy he sometimes needs to do his job. 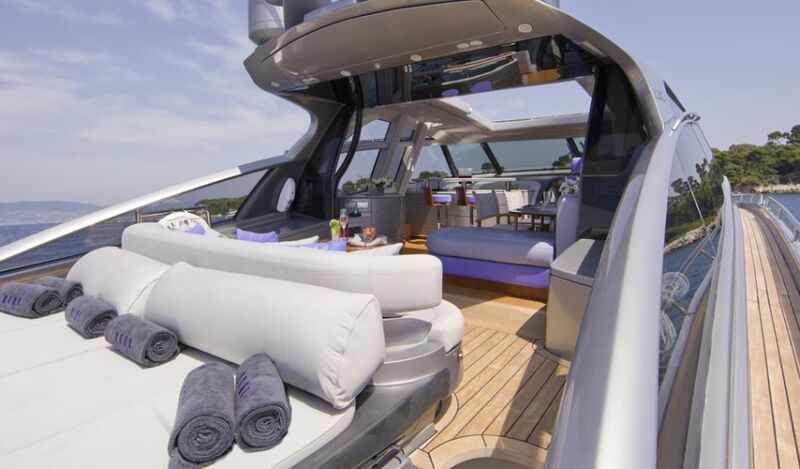 With the doors open, he has a fine view aft that will be appreciated during docking, especially Mediterranean-style. Port and starboard doors lead from this station to the walkaround side decks, further ensuring crew won’t disturb the owners and guests during docking maneuvers. 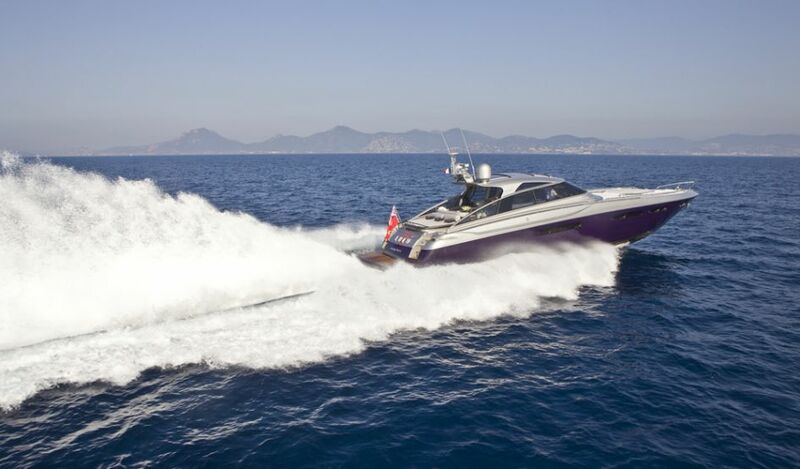 Azimut Leonardo is available for hire in South Of France, Italy, Sardinia, Spain, Ibiza and the Balearic islands.